The BX-60 has an operating weight of 182 lbs. (83 kg) and delivers a centrifugal force of 3,400 lbs. (15.3 kN) and a vibration frequency of 5,600 vibrations per minute. 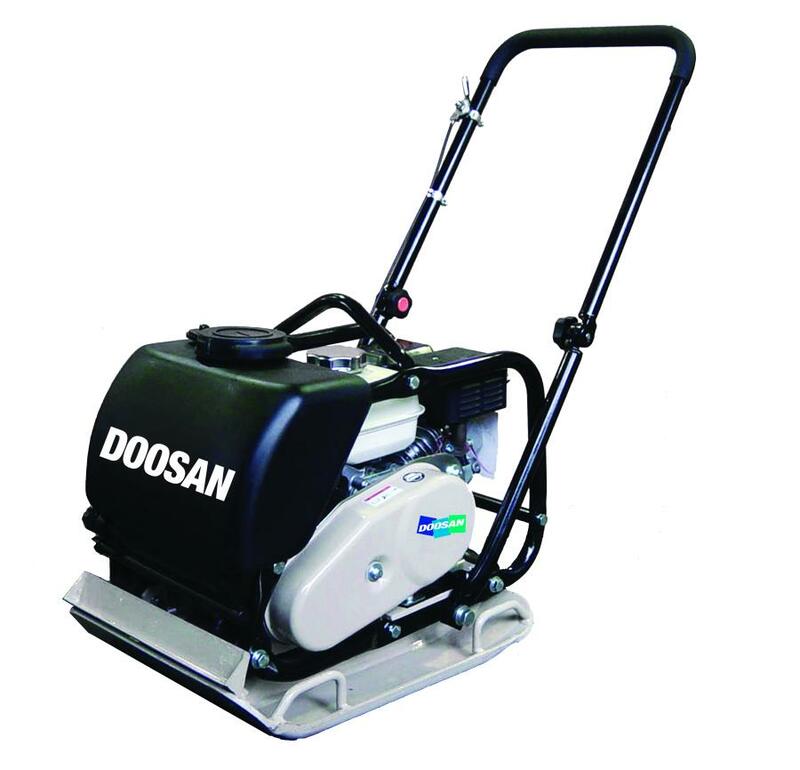 Doosan Portable Power offers the BX-60, part of the BX-Series of single direction, vibratory plate compactors for the compaction of granular soils, crushed aggregates, and hot mix asphalt (HMA) on small- to large-sized open job sites. Key features of the BX-60 include a compact vibratory plate design that offers great maneuverability on the job site, compaction in confined areas and fold-over handles that provide ease of storage. The compactor also has the highest centrifugal force in the industry and the only handle-mounted ratcheting throttle designed for improved control around jobsite obstacles, according to the manufacturer. The BX-60 has an operating weight of 182 lbs. (83 kg) and delivers a centrifugal force of 3,400 lbs. (15.3 kN) and a vibration frequency of 5,600 vibrations per minute. It travels at a maximum speed of 82 ft. (25 m) per minute, with an area capacity covering 6,943 sq.ft. (345 sq m) per hour. The compaction depth of the BX-60 is recommended to 12 in. (30 cm). Powered by a rugged Honda four-cycle engine at 3,600 revolutions per minute, the BX-60 is engineered with recoil start for years of dependable operation. The BX-60 compactor also is fitted with standard vibration-reducing, padded grip handles that are fully adjustable to maximize operator comfort and transport convenience.